We use the Conwy catchment, North Wales (~500 km2) as a long-term, large-scale platform for catchment scale research, modelling and environmental trend detection. The catchment has a wide range of landscapes, facilitating comparative survey and experimental work. We study ecological, biogeochemical and hydrological processes from the gene to landscape scale with an emphasis on developing a holistic understanding of how pressures influence our natural resources and the many benefits which we receive from them. We have accumulated an extensive suite of consistent baseline data which are available to other research projects having more specific aims and objectives. 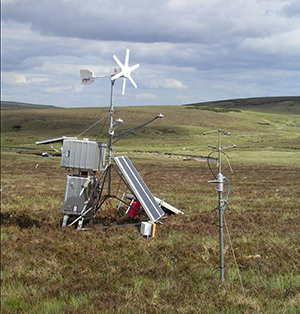 The Conwy catchment provides a linked terrestrial, freshwater and marine study system at a practical, policy relevant scale, with a wide range of ongoing experimental research, long-term monitoring and modelling activities. The diversity of habitat types and broad range of economic activities provides an ideal platform on which to undertake research into a range of environmental issues including: flooding; water quality; soil health; climate change mitigation; improving biodiversity; development of more resilient land and water-based industries such as farming, forestry and tourism and exploring how these interact at a landscape. The main Conwy river drains an area of 380 km2 to the tidal limit, with a further 200 km2 of land draining directly to the 20km long estuary. There is a strong climatic gradient across the catchment with annual precipitation varying between 500mm in the north-east to more than 3500mm falling in the mountains of Snowdonia to the west, which rose to 1064m. The lower and drier east of the catchment is more agriculturally productive, with livestock rearing and scattered native woodland. The higher Snowdonia mountains support limited grazing, plantation forestry and are of high amenity value. Of particular interest is the Migneint, a 200km2 Special Area of Conservation in the catchment headwaters. It is one of the largest areas of blanket bog in Wales and is a major store of carbon. The proportions of major soil classes are close to the Welsh national average, and typical of UK upland areas. Soils are generally neutral to acid, reflecting the geology, which includes no major calcareous outcrops. 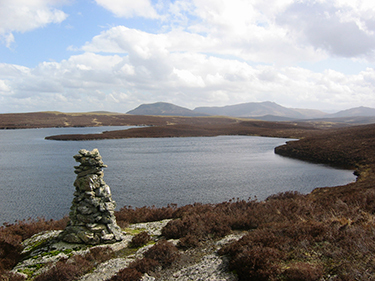 The catchment has a range of important habitats: blanket bog; montane and moorland habitats; conifer plantations and woodlands; extensive and intensive grassland; lakes and drinking reservoirs; flood plains and salt marshes. Its uniqueness arises from this wide range of habitats which are a result of a complex mix of geology, soils and historic land use. There is a broad range of engaged stakeholders in the catchment including: water industries (drinking and hydropower); shell fisheries; farmers; foresters; tourist industries; conservation groups and engaged local communities. An intensively instrumented riparian hillslope for the study of soil-water chemical, physical and microbiological interaction studies to 5m depth across the land-water interface. Bangor University operates a network of 30 farms which have been the subject of detailed soil health and fertiliser studies and 12 forest sites. They operate ongoing monitoring and research in the River Estuarine Transition Zone and linked coastal zone. Daily, weekly and monthly routine river water sampling across the catchment with chemical analysis for a range of variables: pH, alkalinity, chloride, sulphate, suspended solids, dissolved organic carbon, organic and inorganic nitrogen and phosphorus species. Datasets derived from land use, soils, geological and other GIS maps. The fate and transport of nutrients, bacteria and viruses from source to sea. The JULES model is used to estimate the generation of runoff and water quality output from the soil to the stream network. The Cascade model routes water and water quality components to the estuary, accounting for in-stream processes. Finally, the Telemac model is used to estimates transfers through the estuary. The relationship between the terrestrial flora and catchment characteristics. The JULES model is used to estimate local soil properties, and the Multimove model estimates the suitability of the soil conditions for the growth of individual plant species. Modelling of ecosystem services in the Conwy catchment, including a model inter-comparison exercise of three of the leading ecosystem service models used in the UK: LUCI, InVEST and ARIES comparing models for water supply, water quality and carbon storage. Modelling work includes applying scenarios of land use change, and exploring the role of landscape structure and pattern in ecosystem service delivery. To discuss opportunities to develop future research and collaborations with CEH in the Conwy, please email David Cooper.